View of Madison from Lake Monona with the Wisconsin State Capitol building in the background. 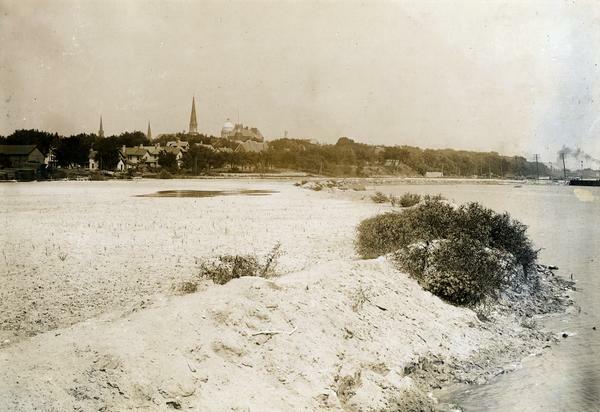 This view of Brittingham Park shows a part of the park shortly after if had been filled in by the sand dredge. The photograph was taken from the railroad trestle and looks north-easterly across the triangle-shaped part of the bay.